Bondville: Could this be the coolest girl's bike in Australia? Could this be the coolest girl's bike in Australia? 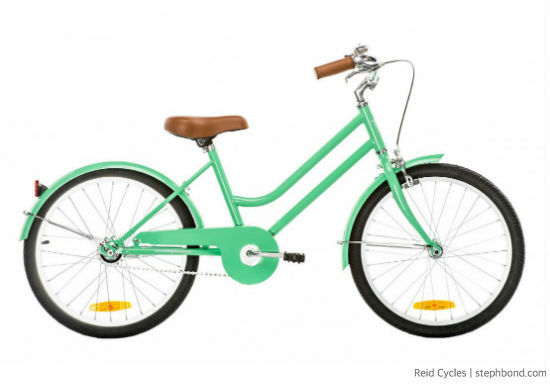 Our youngest is due for a Big Girl's Bike and in my search I came across this amazing mint green cruiser, designed in Australia by Reid Cycles. So cool! The Girls Classic Vintage 20" is perfect for girls 120-135cm tall (approx 5-9 years). 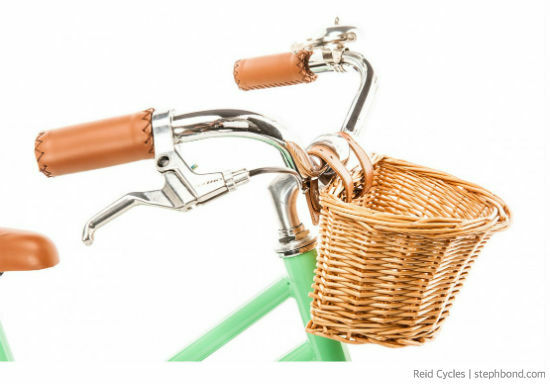 The mint green with tan faux leather handle bars and seat is extra hipster; and it comes with a vintage-style bell of course! 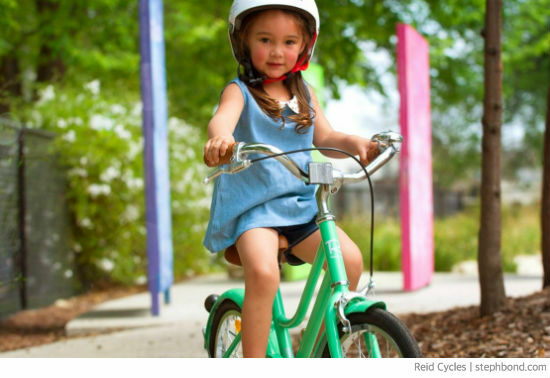 The chain guard helps protect little hands and feet too. I'm pretty impressed with Reid Cycles' free Australian-wide delivery on orders over $50, free 12 months' servicing and excellent warranties. Nice one Reid!